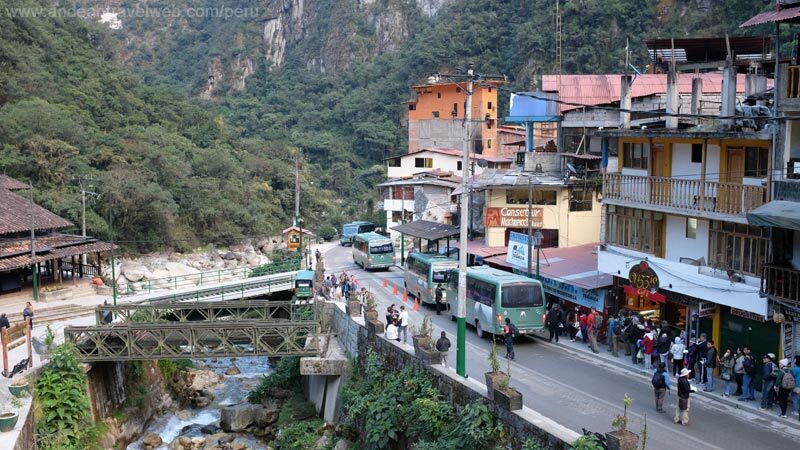 Buses travel depart from the town of Aguas Calientes to Machu Picchu every 15 minutes from 5:30 am until around 3:00 pm. Return buses start to leave Machu Picchu at 6.30am with the last one departing for Aguas Calientes at 5:45pm. The journey takes approximately 25 minutes as the bus climbs the steep road following a series of switchbacks to the ruins . If you are on a really tight budget and feeling adventurous you can always walk from Aguas Calientes to Machu Picchu following a footpath which cuts across the switchbacks. It's fairly strenuous uphill trek and takes about 90 minutes. Not to be attempted with young children or when its very wet as the path can be quite slippery. If you want to catch the first bus up to Machu Picchu leaving at 5.30am then I'd recommend that you buy your bus ticket in advance and arrive at the bus stop at least 45 minutes early to get near the front of the queue. You'll see a long line of buses waiting to take visitors up to Machu Picchu, the buses depart as soon as they are full so for the first hour or so buses are departing virtually one after the other. You can buy the bus tickets up to 7 days in advance. The tickets are valid for 3 days but for only one use. You must show you travel document (passport) to buy a ticket. You can't buy the bus tickets online. 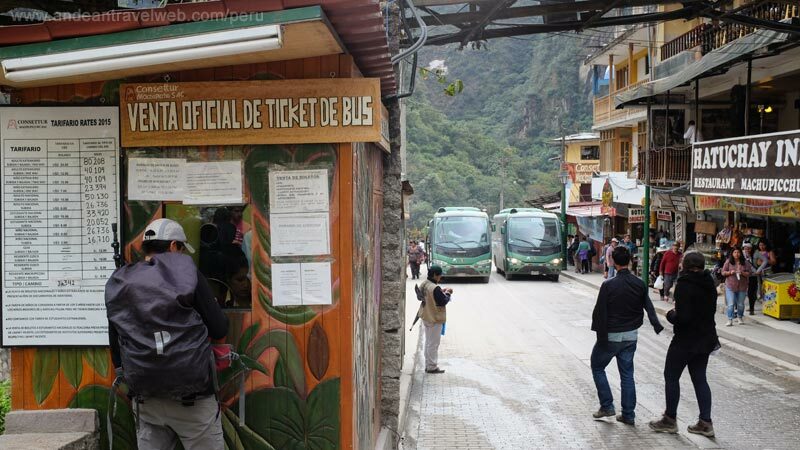 You can easily buy your bus ticket at the ticket office in Aguas Calientes when you arrive. 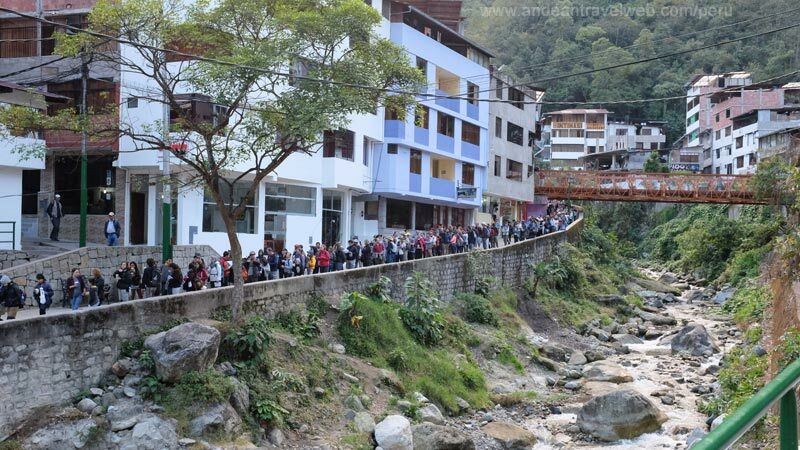 Sometimes the queue to buy your bus tickets in Aguas Calientes can be quite long particularly for the first buses in the morning so, to save time, you can buy your bus tickets in advance in Cusco. Address: the bus stop, Avenida Hermanos Ayar (Aguas Calientes isn't big so it's not too hard to find). When leaving the train station just follow the crowd as nearly everyone will be heading for the bus stop.